Tap: Add (White) to your mana pool. I this deck wants consistent ramp. I count 8 ramp spells, but three of them are or higher. I think we can do better for your ramp package. Marble Diamond and Coldsteel Heart : Both of these come out turn two and can tap for your color.ramping on turn two can really accelerate your game plan. Tooth of Ramos : For mono colored decks, I will always recommend the bones of ramos cycle. Three mana for a rock that youcan tap for your color, and then sacrifice it in a pinch for that extra boost is underrated, but very useful. Commander's Sphere and Darksteel Ingot : the ingot is indestructible, which can prove useful for a boardwipe. The Sphere can be sac'd for a card later on, which, again, is useful. Burnished Hart and Wayfarer's Bauble - Thinning lands out from your deck can really go a long way mid to late game. 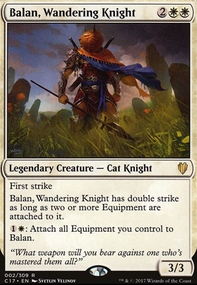 Burnished Hart offers a blocker for you that you can sac for two lands, and the bauble comes out turn one. Both are great ramp cards. I personally believe that the lower your ramp curve is, the better your deck will perform. You're not wrong, If I had a copy I might play it and be happy. 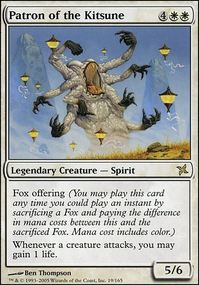 From my experience with the deck though I can say that New Kozi isn't as far off mark from old as you may think. The Colorless restriction isn't an issue going off of how many symbols there are in the deck. 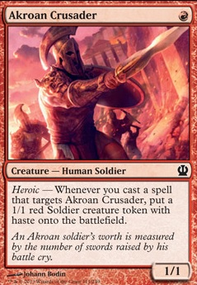 Half the time you're grabbing him off of your Conduit of Ruin ETB trigger, so if I wasn't in the position to either cast him, or would not net many cards, I would grab Sandstone Oracle instead. And that choice aspect really helps with these situational cards. And yeah, Annihilator 4 is dope, imagining a world where you get the cake and eat it too is a bit optimistic. New Kozi's counter ability is something completely unique to him and can be used right away, and 50% of the time I will be drawing 4 or more cards so comparing them becomes arbitrary. It's an interesting one, if I ever get an OG I wouldn't be against trying him. 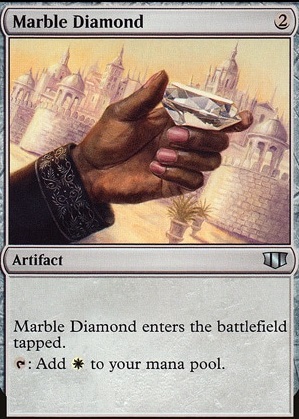 I will say that you may not know true happiness until you've countered a Cyclonic Rift by discarding a Marble Diamond. ;p I agree about Magus, he's one of those guys I didn't understand and traded away and now I regret that lol. 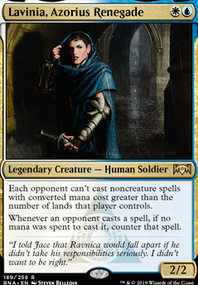 I love the commander, I've only ever seen one person use Triad of Fates. Since you want some cuts I'll try to help with that. If you want another deterrent against people attacking you Teysa, Envoy of Ghosts does a good job of that. Painful Quandary is a fun card as well. Chittering Rats seems like a card that would be subpar. I'm also not sure how Eternal Scourge fits into the gameplan. I feel like you could maybe go down a land, but it all depends on if you feel that you will hit lands consistently. I honestly feel like there are better options to Charcoal Diamond and Marble Diamond.